In a world . . . where your business runs high-volume monitoring and alerting, one focused solution with the full power of SAP HANA is back. From the people who brought you FP03 innovations and based on true stories of customer feedback – this is Focused Run for Solution Manager, version 2.0. Previously in Focused Run . . . 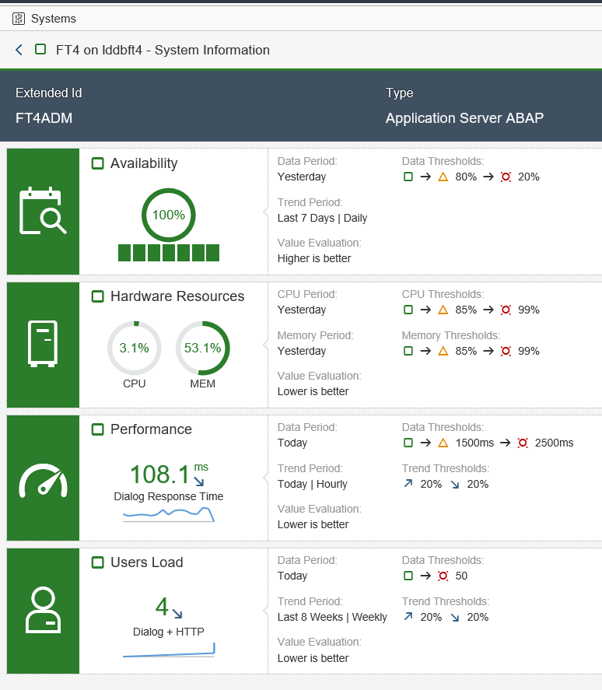 Focused Run became famous for being the system that caters to customers with advanced needs regarding system management, user monitoring, integration monitoring, and configuration and security analytics. 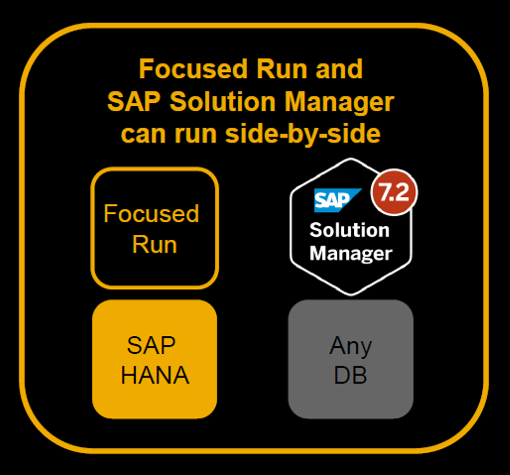 It can run side-by-side with an existing SAP Solution Manager. If you want to familiarize yourself with Focused Run before diving into the version 2.0 features, check out the Focused Run support page. The support page is also your starting point for screening demos. Whether or not you’re the type who tends to prefer book versions, anyone can enjoy finding answers to Focused Run 2.0 questions on the Focused Run help portal page. I’ve found release notes, end-user documentation, and master and security guides to be helpful reads. 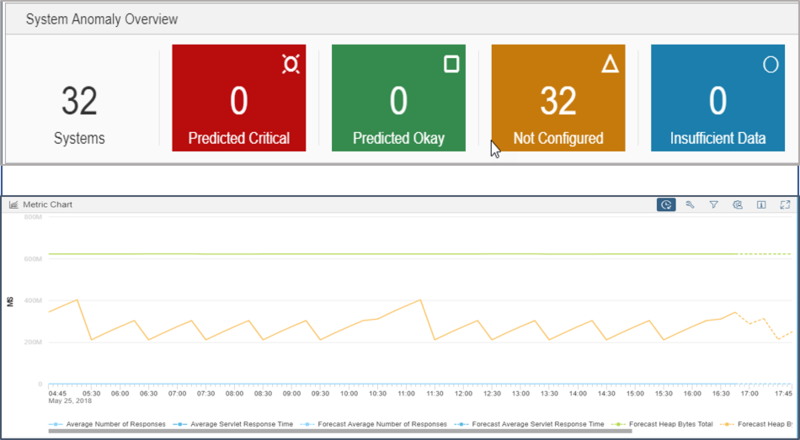 This is the metric page for system monitoring. 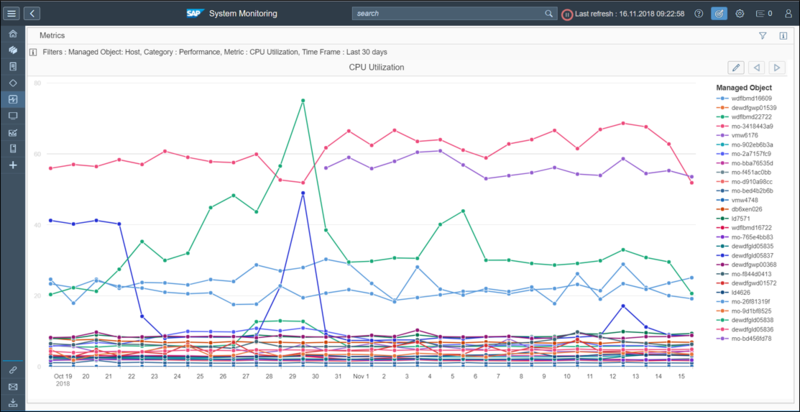 Since you can now simultaneously display the metric history for multiple managed objects, how fast can you identify hosts with the highest CPU-utilization rates? Here is a montage of cloud service management features. The words may be blurry in this picture, but it’s clear you’ll benefit from the cloud product-specific entry fields. 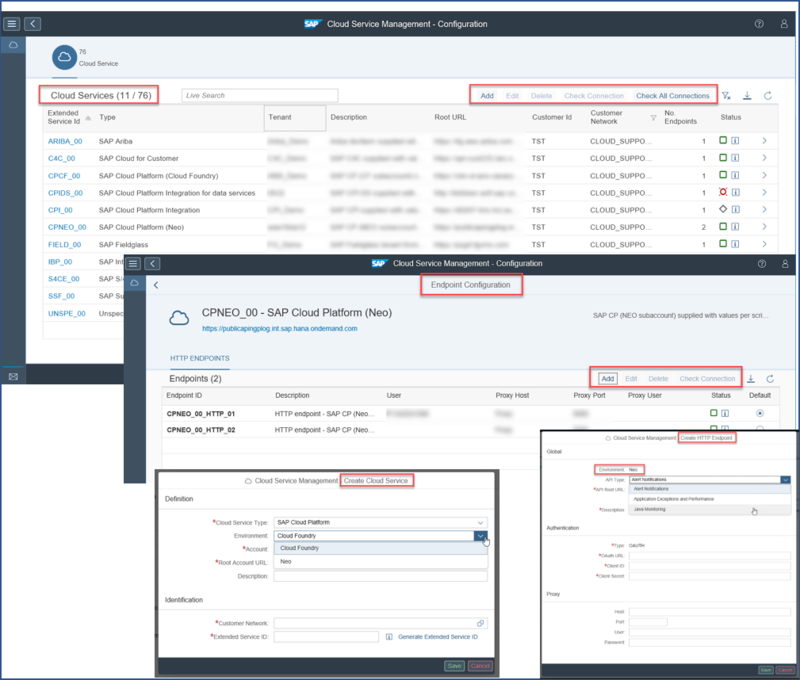 Now you can follow guided steps for defining cloud services and associated endpoints. The beauty here is in the simplicity of the process. The complexity here is under the surface. This system anomaly prediction, with its overview colors and its metric chart, is the result of deep integration of Artificial Intelligence capabilities in existing use cases such as System Monitoring and System Analysis. These understated powerful images help customers proactively predict anomalous behaviors and avoid critical situations in managed systems. 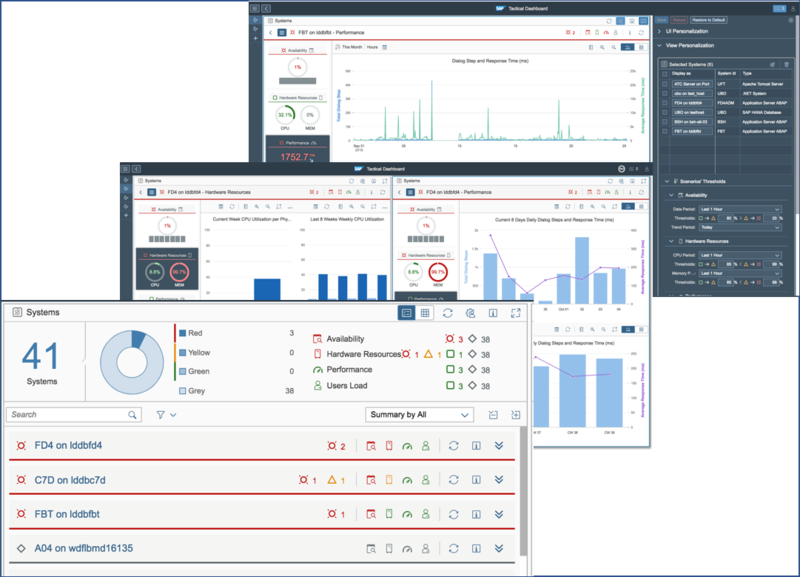 The tactical dashboard is newly-designed for cross-application dashboards. It’s designed for large and very large landscapes. It provides KPIs for systems and trend analysis. This dashboard is special because it delivers flexibility for you to set up and customize the views for your needs. Finally, here’s another example of a view from the tactical dashboard, which is both uncrowded and packed with useful information. This one regards availability. So that’s the end for my five favorites list. Yet when you select the above links for more information, your discovery of favorite new features for your business is just beginning. The predictive application looks like in the attached screenshot when systems are configured. Currently, HANA Out of Memory and HANA Database Hanging situations can be predicted.